Well, that was unexpected. 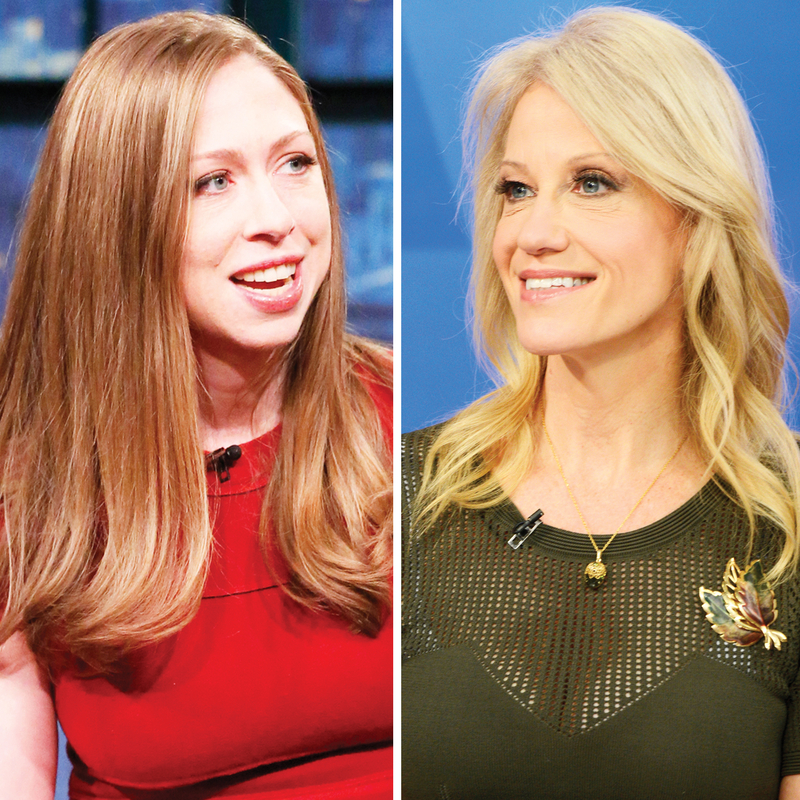 Chelsea Clinton and Kellyanne Conway shared a moment on Twitter on Friday, March 3, after Clinton slammed a joke made at the White House counselor’s expense. On Wednesday, Representative Cedric Richmond (D-LA) made an off-color joke during the Washington Press Club Foundation’s 73rd annual congressional dinner about a recent viral photo of Conway, 50, kneeling on a couch in the Oval Office. Richmond’s controversial comment came in response to Senator Tim Scott (R-SC), who earlier in the day had quipped that a “whole lot worse” had happened on the White House couch, alluding to former president Bill Clinton’s sexual relationship with intern Monica Lewinsky in the 1990s. Many took Richmond’s comment to be a sexual innuendo and called him out for his unsavory words. The senator issued a statement on Thursday, March 2, to clarify what he meant with his comment. When Clinton, 37, caught wind of the offensive joke, she took to Twitter to slam Richmond for his careless remarks. Conway explained Tuesday that she “meant no disrespect” by perching atop the couch, adding that she was just there to take photos of Trump and his HBCU guests.